We’ve covered how selling on eBay can benefit your business. Now it’s time to start selling by setting up the eBay integration in your Shopify account. If you don’t already have an eBay account, you’ll be prompted to create one when you add eBay as a sales channel in Shopify. If you already have an eBay account, you’ll be prompted to connect it and grant it permission to publish listings for you. In the pop-up list that appears, locate the option for “eBay” and click the “Plus” button to its right. You've now added eBay as a sales channel in your Shopify account. You’ll then be shown the permissions you are granting to eBay. These include the ability to manage products, orders, customers, and other related data for your online store. These permissions are necessary for eBay to send and receive orders; eBay will not modify your online store in any other way. Click “Connect” to begin linking eBay to your Shopify account. After clicking, you’ll be prompted to give eBay access to your Shopify account. This will enable eBay to provide data about sales, messages, and customers to Shopify. Click “Add sales channel” to continue. 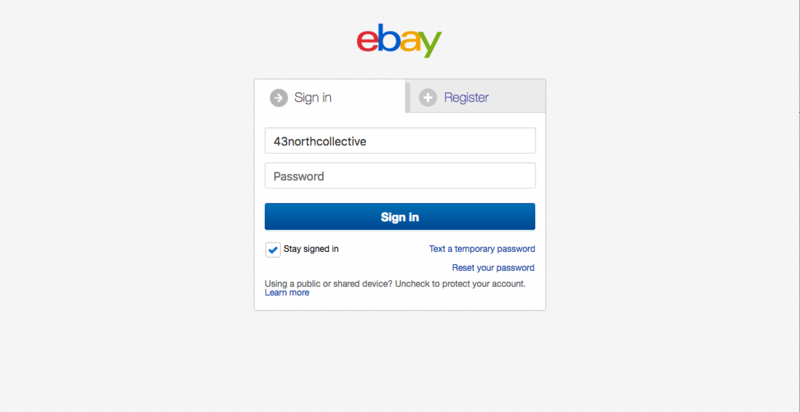 If you have an existing eBay account, enter your eBay ID and eBay password to log in to eBay. If this is your first time selling on eBay, click on the “Register” tab and follow the prompts to set up a new eBay account. Whether you’re registering for a new account or linking an old one, you may be asked to provide additional information about your business, including contact information, inventory details, or ownership details. These questions may be used later to validate the legitimacy of your business. Businesses that cannot be verified may be excluded from some marketing initiatives, so answer honestly and accurately. 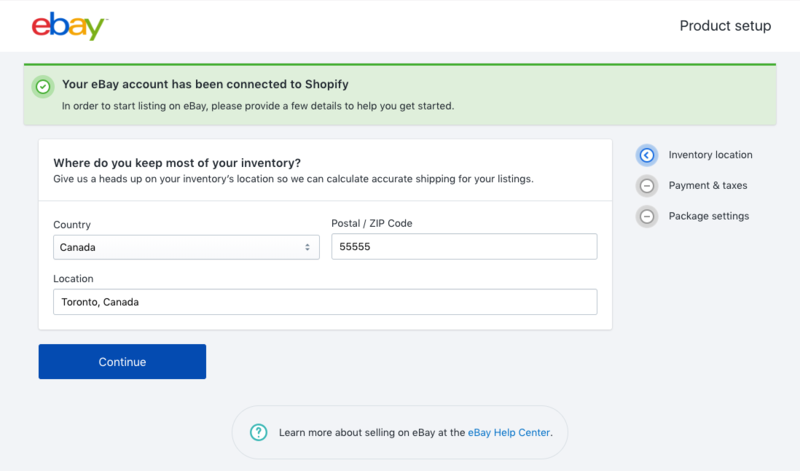 After you connect or create your account, you’ll be prompted to grant Shopify access to your eBay account. Click “I agree” to continue. This step enables Shopify to create and manage new eBay listings and inventory levels. It also connects your accounts so that you can send messages and responses from within Shopify to your eBay shoppers. Next you’ll be asked to configure a number of policies for the eBay listings that you create using Shopify. Follow along through the steps offered to provide details about your location, sales terms, and fulfillment practices. In some cases, eBay best practices may be suggested as default policies. You should accommodate these suggestions if possible, as they represent the best path to success on eBay. If you are unable to accommodate some of the suggested policies, customize them to suit your needs. After each page, click “Continue” to move to the next page of policies. There are four pages in total. When you’re done, you’ll be returned to the eBay channel overview in your Shopify account. To publish all of your Shopify products at once, click "Review and publish all products" now. To publish only some of your Shopify products, click "choose individual products.”. No matter which option you select, you'll have a chance to fine-tune your listings before shoppers on eBay see them. If you opted to select individual products to publish, rather than to publish all of them at once, you’ll be asked to select which products you’d like to publish. After making your selection, click “Save and publish” to continue. Now that you’ve selected the products you’d like to publish, it’s time to refine them before making them into live eBay listings that shoppers can use to make purchases. Next you’ll see a table listing the products you’ve chosen to publish to eBay. Rows in the table represent products; columns represent parts of the eBay listing that will be created for each product. You can make changes to many of aspects of each listing by clicking in particular cells in this list. Focus in particular on adding keywords to listing titles and on ensuring that your descriptions are clear, informative, and appealing. You may find it useful to refer to some of the tips in Chapter 4, “Key Strategies for eBay Success,” before completing this step. For best results, spend time on this process. The changes that you make in this table will determine the content of the eBay listings you’re about to create—and the number of sales that you make. When you're done, click "Save and publish all products" to create your eBay listings, one for each row in the table. If you have made any omissions or there are additional requirements before publishing any of the products in the list, an error message will appear above the affected product. This message will describe any changes that must be made before a listing can be created for the product. Once a listing has been created for each product you chose to sell on eBay, you’ll be returned to the eBay channel overview in your Shopify account. 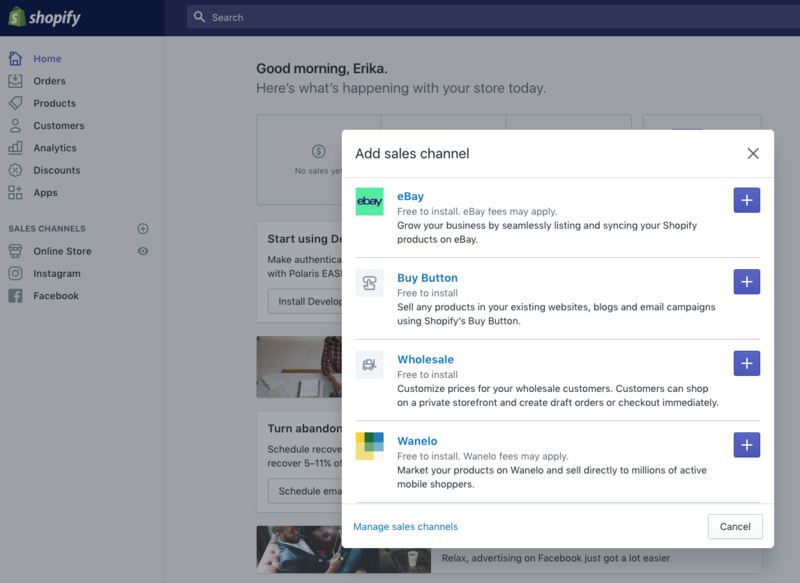 Remember—you’re now a multichannel business, selling on both Shopify and eBay. You have real customers, payments, and expectations. eBay is now a regular part of your workday. You must manually publish new product listings from Shopify to eBay. As you expand your inventory, eBay listings will not automatically be created for you. If you would like to sell a new product on eBay, you must publish its Shopify listing to eBay in each case. You must manage eBay listings created using Shopify from within Shopify. eBay listings created using the Shopify integration must be edited using Shopify. If you make changes to them from eBay, they will no longer be updated by Shopify—and your listing content or inventory levels may be inaccurate as a result. 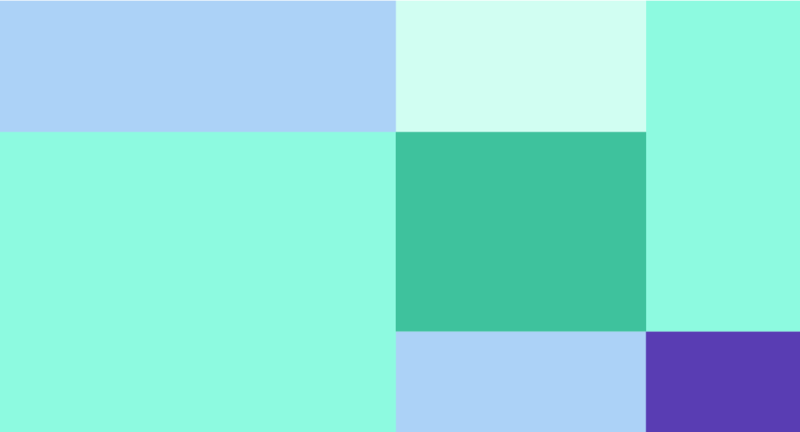 In the next chapter, we’ll work to optimize your eBay listings using eBay best practices, to ensure that they generate as many sales as possible.